The Fly Racing 907 Glove 2019 is an ideal riding glove designed to keep your hands well protected from the frigid weather riding. They feature a thin insulated top-hand material that does an excellent job at protecting your hand from the elements. 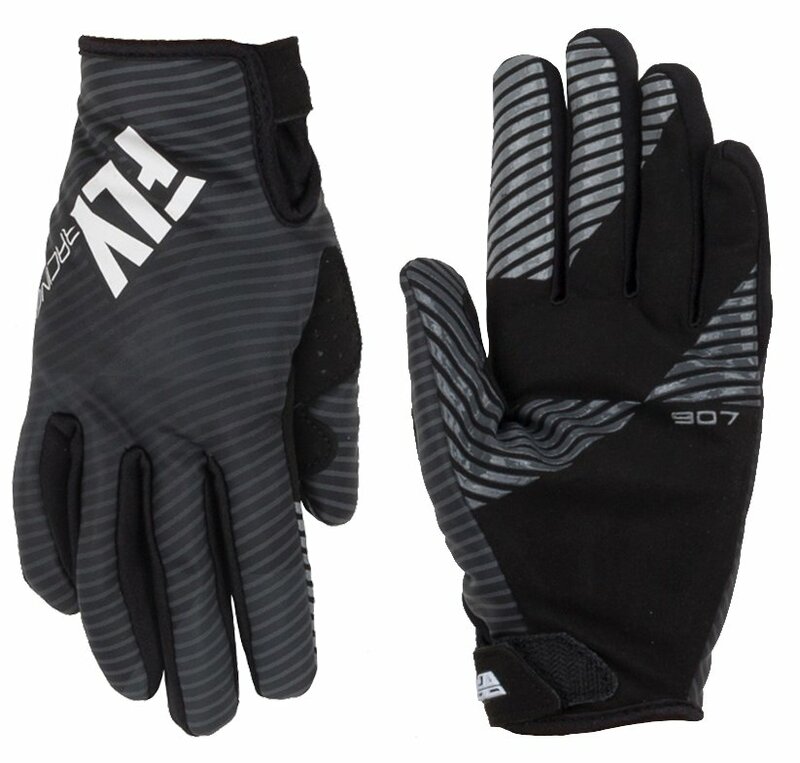 The top-hand material and fingers are fleece lined to provide your hands with more protection against cool wind. To add comfort and control the palm of the Fly Racing features a single layer of fabric while getting the benefits of improved grip in wet conditions thanks to the silicone print. Bought these gloves in a large because other brands tend to bunch in the palm. These didn’t. Went up to my actual size, extra large, and they fit snug, no bunch, and finger length was spot on. Wore them while competing in a wet and muddy cyclocross race last weekend and was surprised at how well they gripped the bars and levers. No slipping at all. Best full fingered gloves I’ve worn. Have only had them for a week so no idea on how well they wear. If they only last two seasons they will have been an incredible bargain!